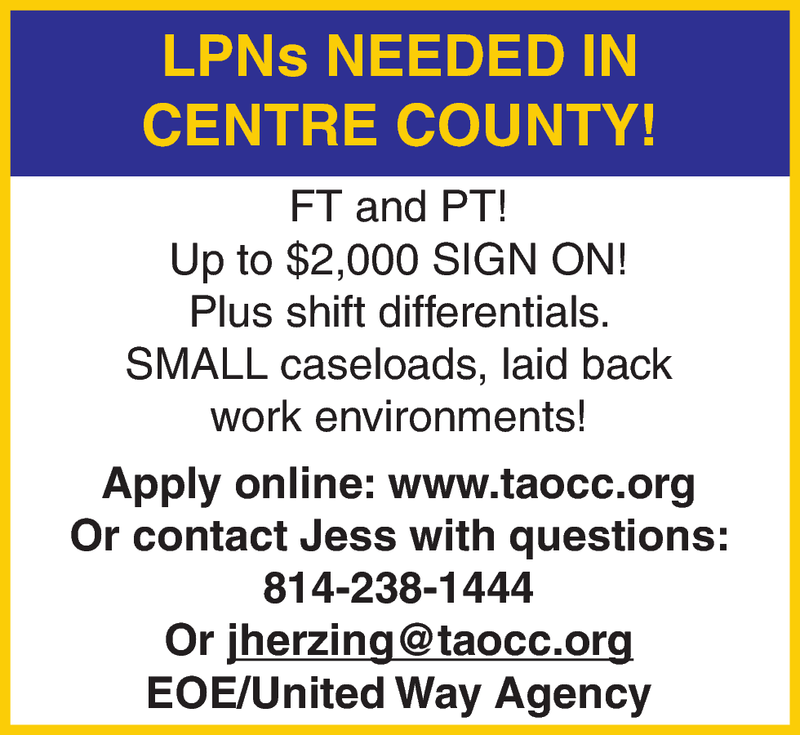 LPNs Needed In Centre County! Up to $2,000 Sign On! Small caseloads, laid back work environments!